St. Paddy’s Day started as a religious celebration in the 17th century. This celebration commemorated the life of Saint Patrick and the arrival of Christianity in Ireland. This “Feast Day” always took place on the anniversary of Patrick’s death, which was believed to be March 17, 461 AD. In the early 18th century, Irish immigrants brought the tradition over to the American colonies, and it was there that Saint Patrick started to become the symbol of Irish heritage and culture that he is today. As more Irish came across the Atlantic, the Feast Day celebration slowly grew in popularity. In 1737 the first St. Patrick’s Day parade was held in Boston. A massive influx of Irish immigrants arrived on our shores during the mid 19th century hoping to escape the Great Famine. This transformed the relatively small-scale Feast Day observance into a full-blown celebration that people wanted to be a part of whether they were Irish or not. In 1903, Feast Day became a national holiday in Ireland, and over time it transformed into what is now called St. Patrick’s Day. The holiday has since been celebrated all over the world in countries like the United States, Great Britain, Canada, Argentina, Australia, New Zealand, Switzerland, Russia, and even throughout Asia. As it happens, St. Paddy’s Day is so popular, it’s thought to be celebrated in more countries than any other national festival. What was once a fairly chill day of going to mass, watching a parade, and eating a hearty meal with family has transformed into the biggest party in the world. Here are some fun and true facts about St. Patrick. 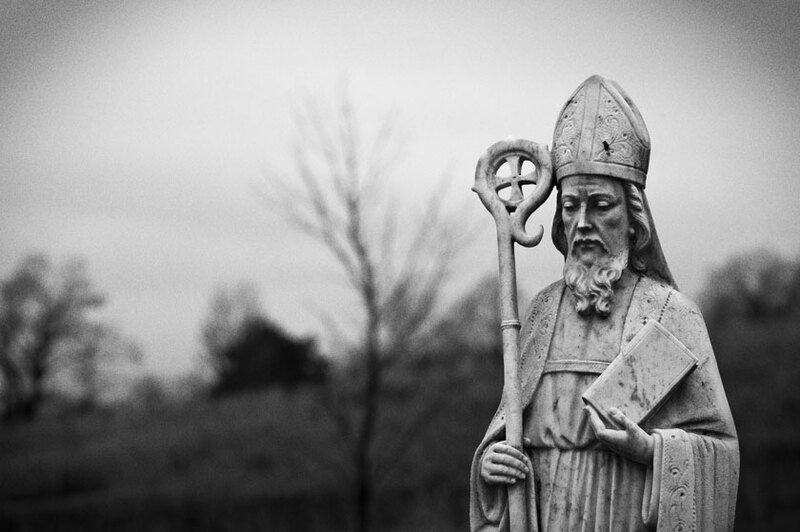 Although he is considered the patron saint of Ireland, he was actually born in England sometime in the late 300s AD. That’s right, Patrick wasn’t Irish. And his name wasn’t Patrick either—it was Maewyn Succat, but he didn’t care for that so he chose a couple of monikers during his lifetime but he came to be known as Patricius. Even though his father was a deacon in the church, Patrick wasn’t much of a believer himself. It wasn’t until he was captured by Irish pirates at the age of 16 and enslaved for six years as a shepherd that he chose to convert to Christianity. During that time he also learned the Irish language, culture and customs. He attempted to escape only to be captured by the French who later released him back to England. Patrick continued to study Christianity into his twenties and after having a vision that told him to return to Ireland, Patrick made his way back to share his beleifs with the predominately pagan Irish. Although folklore tells us Patrick banished all the snakes from Ireland, there were never actually any snakes on the island to begin with. Legend has it however that shamrocks were used by Patrick to teach the Irish the concept of the Christian Holy Trinity. They already had triple deities and regarded the number three highly, so Patrick’s use of the shamrock may have helped him win a great deal of favor with the Irish. Oh, and one more fun fact. The Catholic church does NOT recognize him as a canonized saint. There’s more to it than protection from pinching fingers! It goes back to the Irish Rebellion, when Irish soldiers wore green as they fought off the British in their trademark red. Until then, the color associated with St. Patrick and Feast Day was actually blue. From then on, people wore green on St. Patrick’s Day in solidarity. Then in 1962 the city of Chicago had the idea to dye their river green which started And when the practice of wearing and decorating in green. It’s part historical subtext, part us succumbing to advertising, and part stereotyping. Originally, St. Patrick’s Day,which is a feast day, was a day to lift Lenten restrictions in the Catholic church. It gave Christians a breather as they made their way to Easter. Basically, it was a day to eat and drink as much as you please in celebration. But imbibing on whiskey and beer was not part of the equation. In fact, pubs in Ireland were forced by law to shut down for the holiday until later in the 20th century, and drinking alcohol on St. Patrick’s Day was greatly frowned upon until the late 1970s. So grab your green, turn on some Irish fiddle music, kick up your heels and try not to spill the beer while you dance! This entry was posted in Faith, Faith and Spirituality and tagged Irish, St Patricks Day. Bookmark the permalink. Great research on St. Patrick. Thank you!